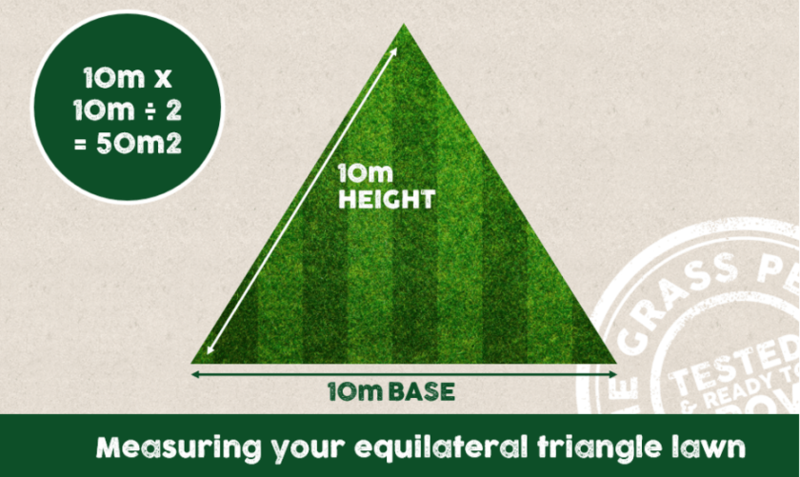 Once you’ve calculated your lawn’s measurements, you can use our handy grass seed calculator to work out how much product you’ll need to purchase to ensure an even coverage of grass seed across the lawn. Or, if you’re more of a DIY-er, we’ve told you how to do it in one of our blogs. We’ll start off easy. 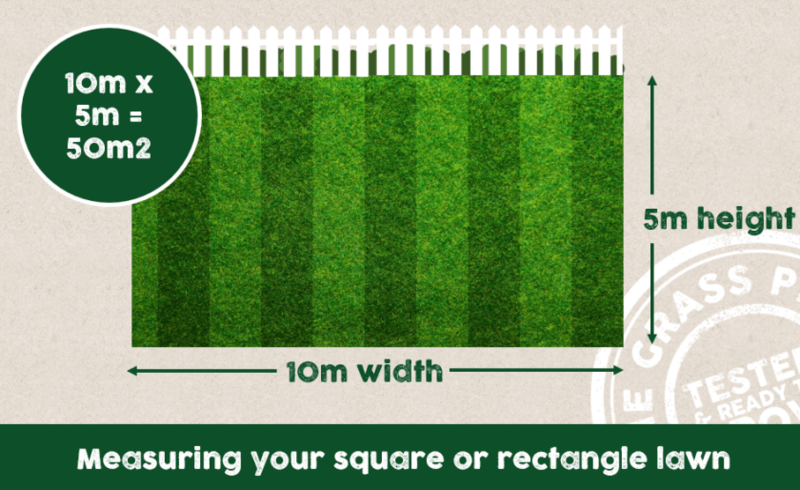 Probably the most common lawn, and definitely the easiest to measure, a square or rectangular lawn is simply measured by calculating the length of the lawn by its width to work out the total (m2) area of your lawn. It’s back to school for this one, folks. 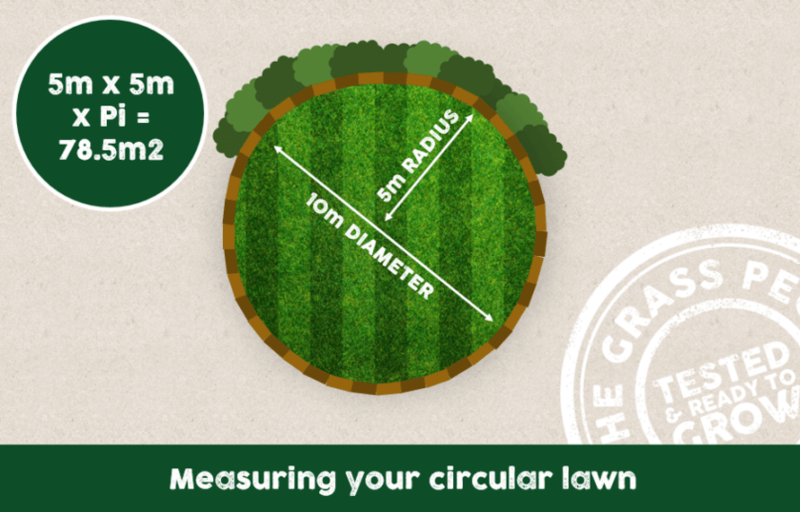 For circular shaped lawns we have an easy formula to follow to get the area of your lawn – you might remember it from your maths class days – it’s called Pi! (π). You can calculate Pi by finding either the radius or diameter or your circular lawn. For a quick classroom recap, the diameter is the width of the circle, and the radius is half the width of the circle. Back to school again on this one – there are three main types of triangle gardens you’ll typically come across and they are usually the result of some luxury landscape architecture – we’re not jealous at all! These are: an equilateral triangle garden, an isosceles triangle garden & a right angle triangle garden. The formula for working out the area of a triangle is simple – while working out what part to measure isn’t always. The simple area formula for any triangle is to multiply the base by the height and divide the total in two. 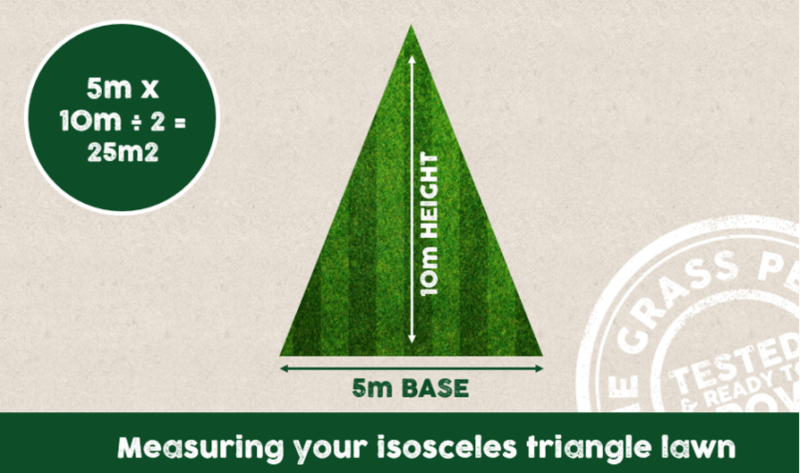 See our below images for what to measure depending on whether you have an equilateral, isosceles or right angle triangle lawn. So, your garden is a bit of a tricky shape. It can be difficult to find the exact area of an irregularly shaped garden but it can also be done! As a guide we recommend you firstly divide your irregularly shaped lawn into sections of regular shapes, for example, circle, square and triangle. These will be more manageable sections which are easier to measure. 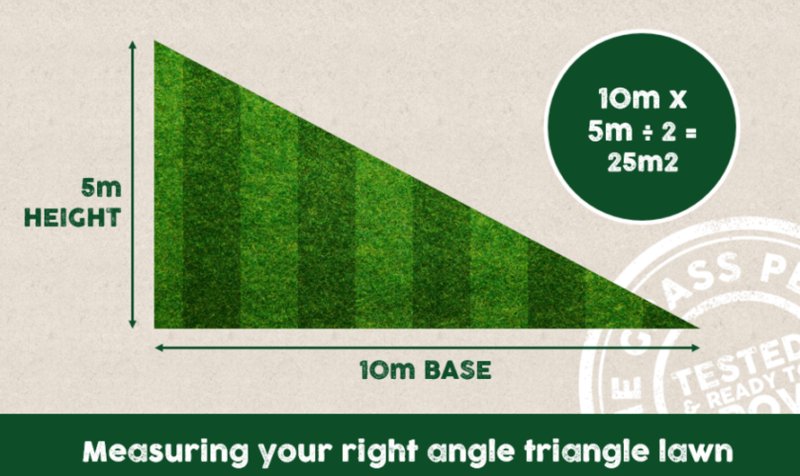 See the below image for an example of how to measure an irregularly shaped lawn by using the circle and rectangle formulas. 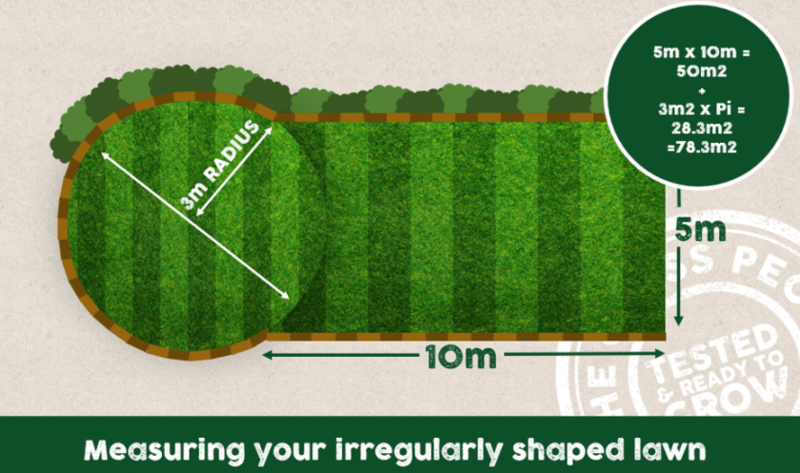 Luckily, an irregularly shaped lawn is about as complicated as measuring your lawn gets. 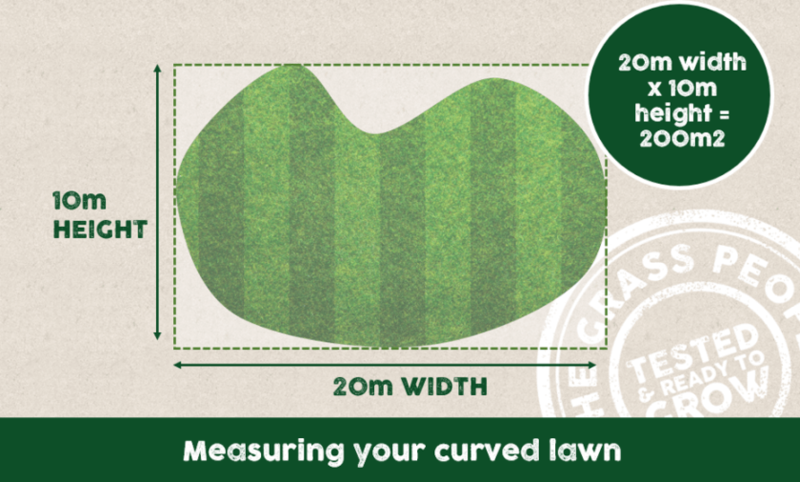 Although it would seem that measuring a curved lawn would be just as, if not more difficult, it’s actually pretty easy. 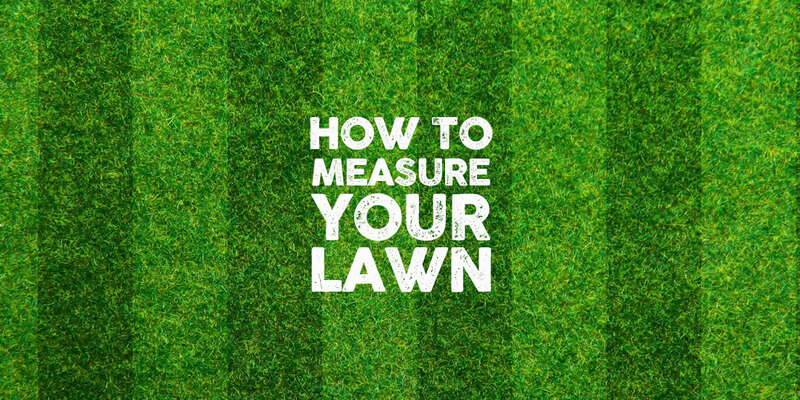 To measure your lawn, measure it at its longest and widest points like you would measure a rectangular lawn. Although this will give you a m2 area might have leftover seed, more is more in this case! Now you know how to measure your lawn, you can easily calculate how much grass seed you’ll need for sowing or overseeding.